Reif Estate Winery founded in 1982 by Ewald Reif and later acquired by nephew Klaus W. Reif. The 125 acre farm is located in the Niagara River sub-appellation. 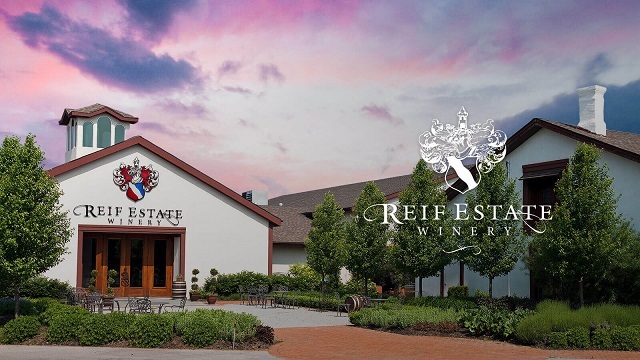 The International Wine and Spirits Competition has named Reif Estate Winery as the Canadian Wine Producer of 2017 and awarded our Grand Reserve Vidal Icewine Best Sweet Wine Trophy. Guests may stroll through the garden with a glass of VQA wine or enjoy delicious food from our outdoor kitchen. Tour our estate, enjoy a tasting of our Riesling, Cabernet Merlot and Vidal Icewine. NOV - MAR Weekends only. $5.00 per person. 45 minutes. No Reservation Required. Groups over 12 require a private booking.